Lock in a great price for Golpata Bed & Breakfast – rated 8.7 by recent guests! The owner and the staff are very friendly, helpful and uncomplicated. Guides and transportation can be organized if needed. For breakfast you can choose between bangladeshi and western. Tea and coffee is available for free all day. The location is good, everything you might need you can get in the area around the guesthouse and busses to the center stop nearby, too. Comfy beds with mosquito nets. Free breakfast. Helpful and friendly staff. Very close to airport. The facilties are very good. A had a good hot shower after a long time. The employees where kind and the breakfast was delicious. Mr Joy and his friend are very friendly and kind people, if you need any help they will there for you. 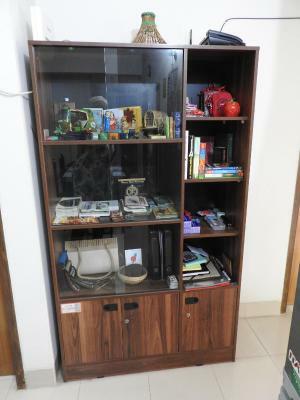 the location is near the airport, so it's perfect if you are coming in Dhaka by plane. The local breakfast was delicious as well. Stayed here 4 times!! It’s so great. It’s not some luxurious five star place but it’s exactly what I was expecting and even more hospitable. Comfy dorm beds, clean kitchen and baths. U can cook for yourself if u want to. Close to Jamuna future park(big mall) so ATMs and lots of food options and not some long expensive cab ride from the airport/ train station. The best thing is the staff . They gave me great advice and suggestions, even put me in contact with local guides and helped negotiate any travel challenges I encountered. It’s not expensive. Not at all by Dhaka/Bangladesh standards. Yes it’s more than a dorm bed in Manila or Saigon but it’s very economically priced for Dhaka. This place is amazing! The owner and host Jo goes out of her way to make you feel welcome and offers many suggestions and tips to make your stay in Dhaka and Bangladesh memorable. Super clean, with delicious breakfast and plenty of information on Bangladesh. A 20-minute ride from the airport or train station, it is located in a suburb where you can experience the real Bangladeshi life. Nice market nearby to wander, great chicken restaurant for dinner and nearby is a shopping mall with ATMs, shops and more food! Bangladeshi breakfast, clean room, Joanne and Joy are very helpful are great hosts! Close to the airport, nice when you arrive late. Clean place and good staff tonhelp you around. Joy is so kind. nice breakfast. comparing to high rent cost, it is valuable to stay. 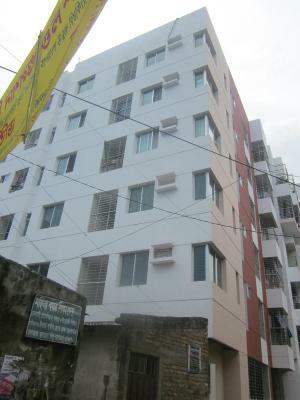 Golpata Bed & Breakfast is located in Dhaka and is just 1.9 mi from Hazrat Shahjalal International Airport. Free wired internet is available throughout the property. Some of the rooms are air-conditioned and some are fan-cooled rooms. The rooms here will provide you with a cable TV and desk. Featuring a shower, some rooms come with private bathrooms. At Golpata Bed & Breakfast you will find a shared kitchen, dining and a lounge area. Other facilities offered include a tour desk, luggage storage and dry cleaning. A car rental facility is available. The property offers free parking. The property is within 6.8 mi from Bangladesh National Museum, the incomplete fort of Lalbagh and Shankaria Bazar. The Airport Railway Station is 1.9 mi away while the Uttara Bus Station is 2.5 mi. 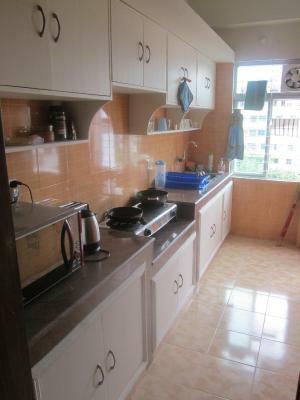 This property also has one of the top-rated locations in Dhaka! Guests are happier about it compared to other properties in the area. When would you like to stay at Golpata Bed & Breakfast? The air-conditioned rooms here will provide you with a desk. Private bathrooms come with a shower. This single room features air conditioning and a private bathroom. 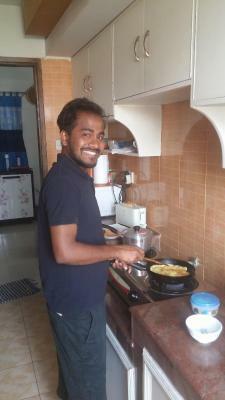 House Rules Golpata Bed & Breakfast takes special requests – add in the next step! Golpata Bed &amp; Breakfast accepts these cards and reserves the right to temporarily hold an amount prior to arrival. Golpata Bed & Breakfast accepts these cards and reserves the right to temporarily hold an amount prior to arrival. Please inform Golpata Bed & Breakfast of your expected arrival time in advance. You can use the Special Requests box when booking, or contact the property directly using the contact details in your confirmation. The host is very kind and helps me a lot. Extraordinary, peaceful and safe place in a chaos of Dhakka. Extremely helpful owner, friendly Dutch lady Joanna. I would highly recommend hire a guide Saiful who knows wonderful places and can take you on some places you would never find by yourself. Experince of Dhakka definitely wouldn't be so nice without Joanna's place. Highly recommended! The hygiene was top notch. The host was amazing in helping out both with giving information for my trip and with getting the Uber driver to the right spot (most of the time they don't understand where you are or they want you to confirm over the phone in Bengali). They also recommended me a great guide who helped out a lot. Oh, and they provided a mosquito net which was very nice. All was well. Only takes cash. Very lovely stay. Joke & Joy are the best hosts and i had lovely conversations with them. All staff is very kind. Breakfast is lovely, area is great to walk around and get some Bangladeshi vibes before heading into the more crowded Old Dhaka. Would recommend Golpata to people going to Dhaka. It will make your stay in the city very pleasant. Super close to airport and if you use Uber moto you can get around very easily. The stay here made my arrival in Bangladesh a very good one and can’t wait to return ! Really nice staff, Joanna is lovely, room was exactly what I wanted and more, although but was a shared room it was spacious and very clean, with blanket, towel, soap and mozi net provided. Free tea and coffee and lovely breakfast- choice between Bangladeshi or Western (toast + egg + spreads/jams). Before arrival, Joanna responded to my questions promptly and clearly. Lack of laundry service was a bit tricky for us since we stayed for over a week, so at the end we had to hand-wash the dirty laundry. The location was quite noisy due to the nearby airport, so guests who have issues with airplanes constantly flying by might find this bit inconvenient. The staff were very friendly and approachable. The facility is kept clean and tidy as expected. We could use kitchen which was well-equipped and grocery stores were nearby. The other guests we met were very nice people and we felt at home. The owners were very understanding of our situation and extended our stay in a short notice. Good breakfast, considering that they provided multiple options for bread spreads; it was nice since we were kinda tired having spicy oily food for breakfast during our stay in other hotels in Bangladesh. It’ll be perfect if they provide thicker blanket as the weather was damn cold during the day I arrived. Cleanliness ; the lamp in room n few things were dusty and the floor too, was uncomfortable when we are walking. The prompt reply of Mrs Joaana regarding any queries and arrangement prior to our arrival. After a bad experience in Dhaka previously we found Golapta and it was fantastic. Although a little way from old Dhaka, it’s perfectly positioned for the airport and has plenty of amenities within a short walking difference. This place is great value for money even more so in Dhaka. Mr Joy was so kind and very helpful. Breakfast was delicious and the room very clean. Thank you for a lovely stay. The guesthouse is a really lovely and nice place to stay in Dhaka. The room is quite big and is really nice. The beds are comfortable. You get served for breakfast a typical Bengali breakfast - what is really tasty! Joy and his work colleague, both of them are really friendly and they make you fell comfortable. I felt like all the time safe and the area around the house is a lovely place to walk around or buy some food. The airport pick up worked pretty well.